What we do when we’re tempted to buy something while at the store is we’ll mentally balance the desire to buy that brand new shiny object, and then think how much it costs. Looking at something that we’re wanting to purchase activates our “want system,” which makes buying that item make us feel better. But, Mick Jagger screams out, “You can’t always get what you want.” What we’ll react to is the price tag which makes us feel pain and then guilt, especially if we can’t really afford it. The simultaneous feeling of “wanting” and then the “guilt” are both relayed and then we do a mental cost-benefit calculation to determine whether to purchase that brand new pair of red shoes for $200, or decide to save the money for something else. One method on how you can save more cash is by accentuating the salience of a price tag. What this does is it increases the pain and guilt factor sooner when you enter a store, or see something online, and are considering buying that product. There are a few ways on how you can do this. First, the actual guilt of spending money has more impact when you pay with hard cold cash, compared to paying by credit card or debit card. So what you can do is withdraw money from the ATM, a fixed amount of money every week for your expenses and never spend more than that amount unless it’s a real emergency. Third, slow down your decision making process so you can logically evaluate the “want” and the “guilt” signals accurately. So there you are, regardless if it’s a sudden impulse buy or by decision, you’re standing there thinking of making a purchase. But if at all possible, try delaying the buying decision to purchase until the following day, and then think over whether you really, really need that item. Sleeping on it will help consolidate all the information which will lead towards making better decisions. 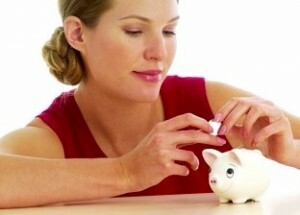 Another approach that you can use to increase your savings is to make saving money rewarding to you. You can setup a monthly amount to save and thus “pay yourself first,” this before you do any shopping. At the end of the month, and if you’ve maintained your goal, then go ahead and celebrate, which provides for positive feedback to a job well done. You may for example treat yourself to some fancy ice cream or dinner at a favorite restaurant, within budget of course. Saving Money Can Be Fun… Really! One way that you justify your spending is by making it visibly tangible. When you go out and buy those new shoes, you can see them on your feet and then show them off to your friends, making youself feel better. You can do the same when you save. There are software programs and apps for mobile devices which can track your savings down to the penny to help you reach your goals. For instance, manageME or You Need a Budget are excellent programs for doing this. You’re able to set up these programs so that on a daily basis, you can track your progress on your computer or mobile to see how much money that you’re earning from compound interest for instance. Or, you can get creative and make some type of a display in your home office to representing your savings. This can be a poster on your wall on how much you’re saving and how close you are to your monthly goals. Make sure that it’s definably marked so that your family and friends can see the results of your efforts while also encouraging you to continue. Using support from others, whether friends or family is an effective way of meeting your savings goals. Engage your immediate network so they can see and track how important saving money is to you. There are fortunately a wide range of methods to save money, as different individuals will vary greatly in their ability to be as patient as possible when tracking their savings plan over time. For those who may struggle to save money, the first step is to be as patient and disciplined as possible. If you’re able to make saving money as fun as possible, then you’ll be able to do it. Keep in mind it takes a bit of practice to maintain and watch your savings grow, but the good news that at the end, that patience will get a lot easier over time. Keep in mind the cardinal rule of “Paying yourself first,” which means making all of your long-term needs a priority, and keep them present and focused at all times. This way, you can control where you’re going. Since your savings can be compounded, money will grow quicker over time, so the time to begin saving is right now.